This cartridge is great for any crafter who doubles as a soccer mom. 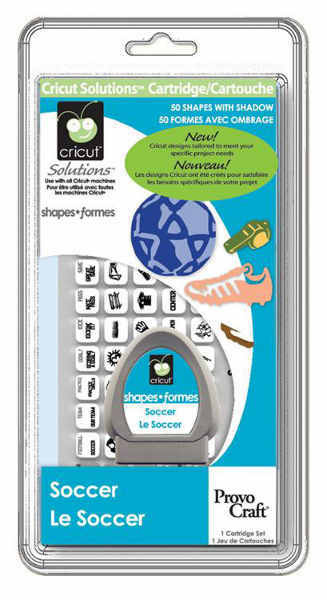 The Soccer Solutions™ cartridge is filled with images of soccer equipment, uniforms, key phrases, player silhouettes, and other soccer-themed images. You’ll love using these images for team parties, room décor, signs, and so much more.